Isabela Vice Governor Antonio “Tonypet” Albano showed off the latest laurel of his province. 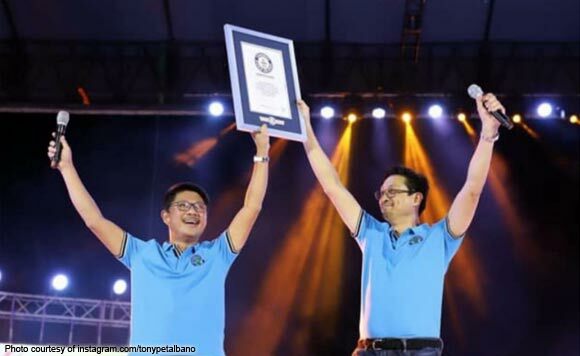 The province was able to achieve this during the recently concluded Bambanti Festival. 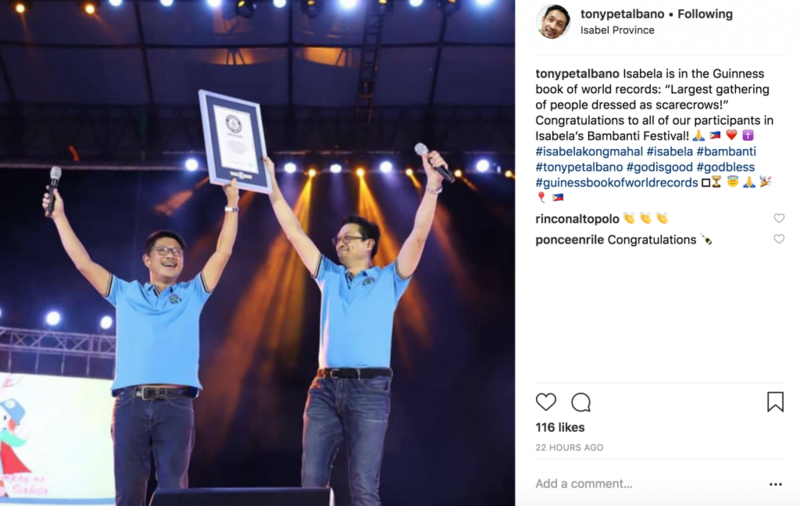 “Isabela is in the Guinness book of world records: ‘Largest gathering of people dressed as scarecrows!’ Congratulations to all of our participants in Isabela’s Bambanti Festival!” said Albano.